Are there lessons to be learned from the implosion of Newt Gingrich’s presidential campaign over the past month? Several come easily to mind, from the virtues of campaign organization, to the importance of message discipline. But there’s another that deserves attention: namely, that serving as Speaker of the House is a highly dubious qualification in preparation for assuming the presidency. The recent stumblings of current House Speaker John Boehner—including his failed bid last month to negotiate with President Obama over payroll tax cuts—are further testimony to this point. The fact is, most Speakers have limited skill sets. They are amateurs on the world stage and hyper-partisans to boot. In other words, most Speakers are un-presidential—an unfitness that becomes dramatically apparent when Speakers go head to head against a President or seek the presidency itself. It’s tempting, of course, to think of this asymmetry merely as a source of amusement. But it’s also much more that that: Given that current law placing the Speaker atop the line of presidential succession, it’s a disaster of epic proportions waiting to happen. Some background. The Constitution does not specify who should step up if both the President and Vice President are dead or disabled. The document instead empowers Congress to legislate which “officer” should fill the breach. By “officer,” the framers meant a cabinet officer; strictly speaking, congressional leaders were not “officers” within the meaning of the Constitution’s succession clause. But in 1792, Congress could not decide which cabinet secretary deserved top billing, Thomas Jefferson or Alexander Hamilton. Over the constitutional objections of James Madison, Congress finessed the feud by (surprise, surprise) favoring itself: Congressional chieftains, not cabinet secretaries, topped the 1792 succession list. Congress later replaced this law with a proper regime of cabinet succession, but reversed course in 1947, placing the Speaker atop the succession order. The unconstitutionality of the 1947 law is reason enough to scrap it. But what gives the issue particular urgency is the recent polarization of the parties and the extreme partisanship it has instilled in the House of Representatives and the Speakers who lead it. When Democrat Harry Truman gave hell to congressional Republicans in the late 1940s, many of Congress’s most conservative members were southern Democrats and some of the body’s most progressive members were northern Republicans. No more. Today’s congressional Democrats are all to the left of today’s congressional Republicans. Presidents, too, must now more clearly pick a side than was true in the late 1940s. Nowadays, there is no one like Ike, who ran as a Republican but could have won as a Democrat. In today’s polarized landscape, the 1947 succession law becomes hugely destabilizing. What legitimacy would the conservative Republican Boehner have, were tragedy to befall the center-left Democrats, Barack Obama and Joe Biden, who won the 2008 presidential election? Would Secretary of State Hillary Clinton quietly accept this massive power shift—effectively undoing the election—or would she instead insist that, legally, she was next in line, given the unconstitutionality of the 1947 law? Whom would the military salute? Would opposing mobs clash in the streets? Would the Supreme Court get sucked into the vortex—another Bush v. Gore fiasco? These nightmare scenarios become even worse if we imagine—as history and realism demand that we imagine—successions triggered by suspicious acts of violence. In 1865, Andrew Johnson’s task of national reconciliation was complicated by the fact that Lincoln’s killer had tried to visit Johnson only hours before the assassination. In 1963, Lyndon Johnson likewise faced wild conspiracy theories stressing that President Kennedy was killed in Johnson’s Texas. In 1881, the madman who shot James Garfield had penned a letter advising the soon-to-be President, Chester Arthur. In all three cases, presidential power peacefully shifted to the dead president’s own running mate. But when power instead shifts to the opposite party in the person of an intensely controversial partisan, conspiracy theories may be much more virulent, disaffection far more extreme. And make no mistake, Speakers are by the very structure of their posts intensely partisan figures. Speakers become Speakers by winning repeatedly in reliably safe districts that are either far more conservative or far more liberal than the nation. Presidents must win votes of the middle of America; Speakers must win the votes of the middle of the party. The skills required of each could hardly be more different. And while intense partisanship is built into the Speaker’s job, foreign policy expertise is not. Refreshingly—but dangerously, given current succession law—Boehner has no pretentions to global vision. To him, Cairo means Illinois, not Egypt. 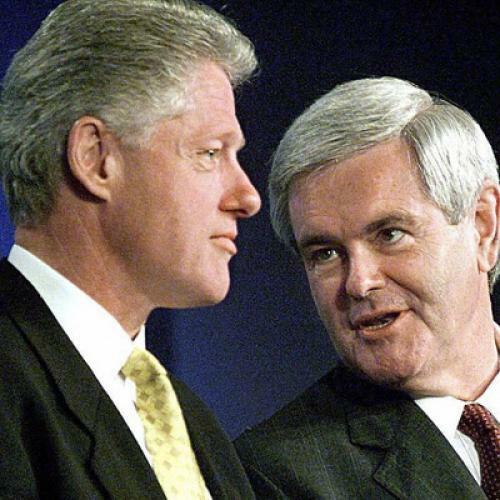 While Gingrich is full of global pretensions, as a Speaker he had little exposure to matters such as treaty negotiation or ratification. Gingrich’s intemperate comments about Palestinians and Muslims reflect this inexperience. Diplomacy-savvy Republicans like Condoleezza Rice, James Baker, and Richard Lugar do not talk this way. Of course, we should not single out Boehner and Gingrich. Many the same things could be said of most modern Speakers. And therein lies hope. Precisely because Speakers of both parties have typically been unfit for the presidency, both parties should favor reform. Every one of the last eight Presidents except Jimmy Carter has faced an opposition-party Speaker. By now, both sides should agree that whenever a party wins the presidential vote, that party should hold the presidency for four years, because that is what Americans voted for and because even good opposition-party Speakers would be bad successor Presidents. Given the current fluidity of the American mood, the 2012 election could give us a Democratic President and a Republican Speaker, or a Republican President and a Democratic Speaker. Now is thus the perfect time for both parties to embrace real reform by putting cabinet officers—the president’s handpicked helpmates, who understand the world and share the president’s worldview—back atop the line of succession. Akhil Reed Amar, a professor of law and political science at Yale, is the author of America’s Constitution: A Biography.